I’ve traveled the world to perform and I love to share really amazing world music instruments with my audiences when I play live. The three most frequent questions I get are: “What is that?” “Where does it come from” and “Where can I find it for my child or my classroom?”. These questions are not surprising. People around the world make music in some really beautiful and unique ways. It’s a great way to celebrate diversity or teach about world cultures. 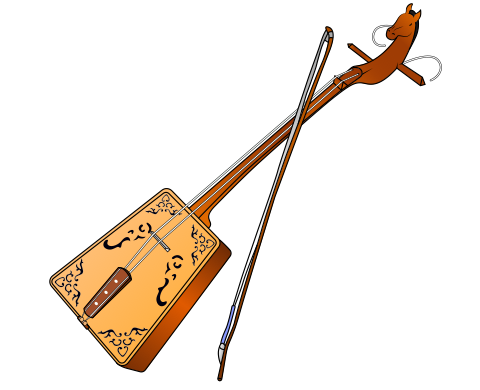 And folk instruments are fascinating. 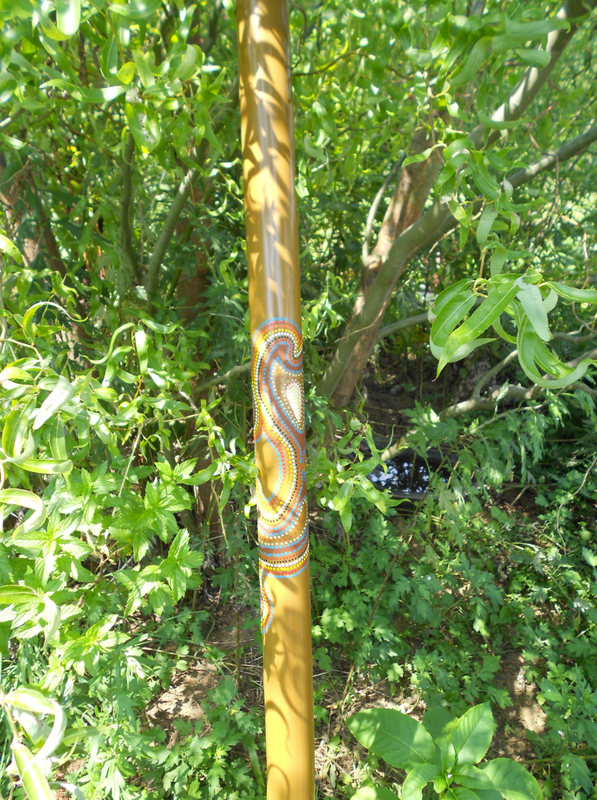 They generally come from natural or recycled materials, like turning bamboo into Hawaiian rhythm sticks called pu’ili or using seed pods from the “ice cream tree” to make pacay rattles. 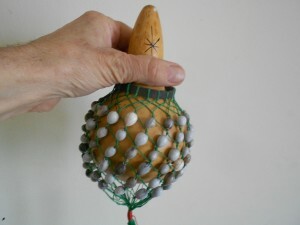 Bushel gourds turn into water drums and smaller gourds learn to dance as shekeres. 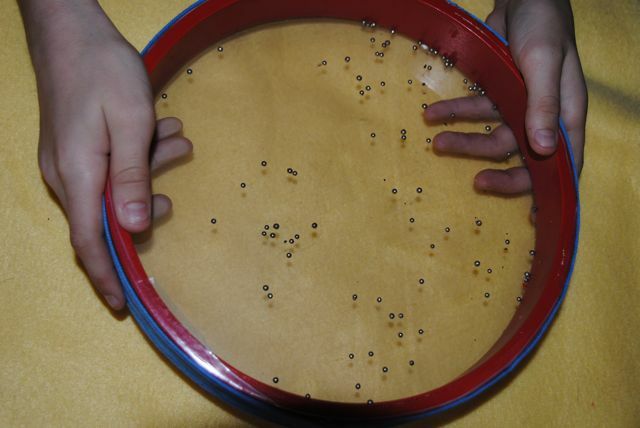 This is not just a fun sensory experience for a child but also a way to share creativity and encourage music-making as awesome play! 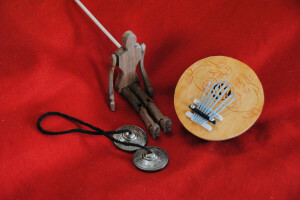 But if you haven’t just gotten off a plane from some remote location, how do you find these great instruments for your kids? Here are my best tips with an emphasis on places you can buy things that are fair trade. toy or instrument may have small parts – such as beads that might break off – so keep that in mind. 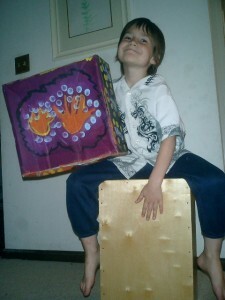 I also encourage parents and teachers to play with their child musically, then keep the instruments in a special place. This usually keeps things from breaking and keeps smaller children safe from choking hazards. When you go to work, don’t you want to be paid a fair or a great wage? Would you like to work all day then receive .24 for your labor? Heck, no! I am a huge fan of fair trade. Having lived in many third world countries I’ve seen awful working and living conditions and am thrilled to see many companies now that only offer fair trade products. I heartily encourage you to make that choice, whenever possible. 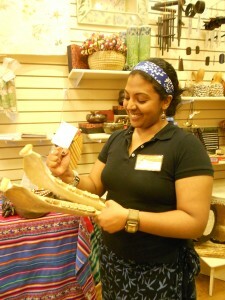 Ten Thousand Villages began as a fair trade endeavor, started by a Mennonite woman in the 1950’s. It’s now blossomed to a company with many retail stores across the USA and a brisk online business. 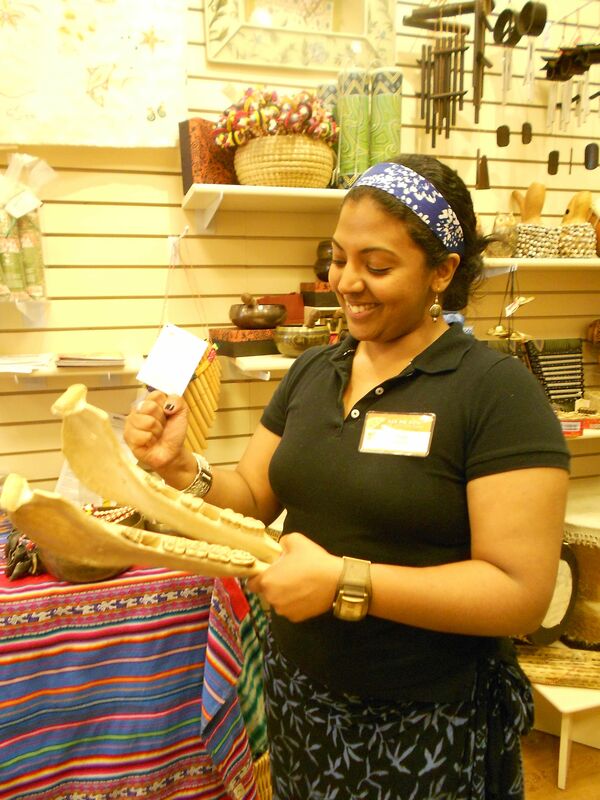 Although Ten Thousand Villages does not exclusively sell musical instruments, they work with artisans in over 35 countries and have a beautiful selection of instruments from Asia, the Caribbean and Africa. 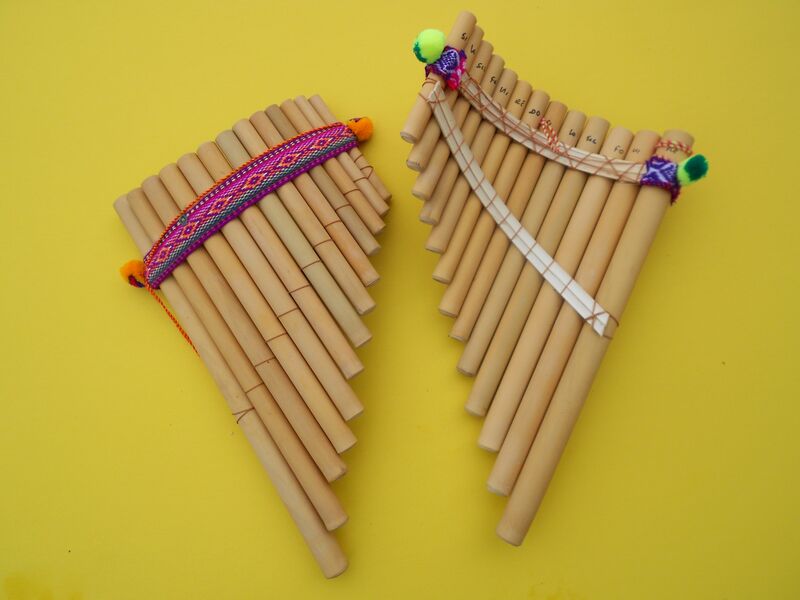 My favorite items from their store are their panpipes (pictured here), kalimbas, African percussion, handbells, small gongs and beautiful singing bowls. Exclusively a music retailer and wholesaler, Jam Town is based in Seattle and offers a wide variety of hand drums, box drums (cajón) as well as diverse hand percussion. What they offer varies so stop by their online site and see what is available or locate a store that offers their products near by. Although their customer service really could use improvement, I wholeheartedly recommend the quality and sourcing of their instruments. 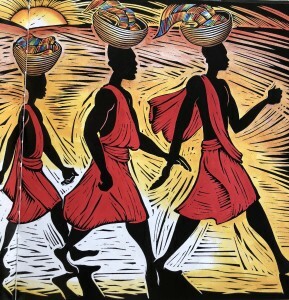 Buying from Jam Town means offering meaningful support to an artisan in a third world country where few opportunities exist. Plus, their website has a great clearance page, too. Although not certified fair trade, this online store and website promotes all Indigenous Aboriginal artists and their creations. 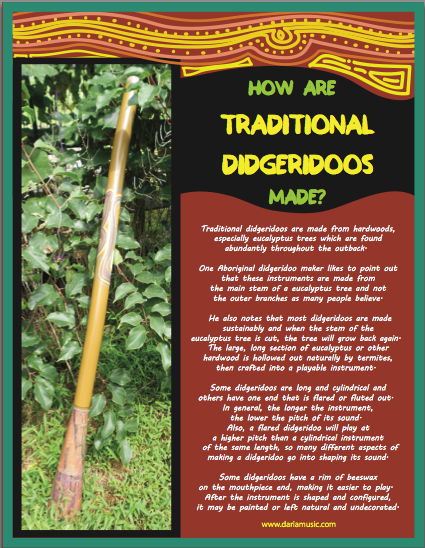 The website is filled with great info from various Aboriginal cultures. The website is set up so it allows a person who wishes to buy a didgeridoo, the chance to hear it as an mp3 and often see an image and profile of the artisan who created it. This is a store that’s not certified fair trade, but they have been very helpful to me. I’ve purchased large drums, panpipes, tinya drums and goat toe nail rattles from them. Their customer service is outstanding and it is my hope that they have the same care for the artisans who create their instruments. No way! I’ll keep adding to this article but I encourage you to subscribe to this blog to see what’s new. And let me know if there’s a shop or a vendor you’ve found that create beautiful instruments. I’d love to list them here or even do a special post on what they do. Wishing you a happy, musical day! The winter holidays are such a beautiful and festive season. 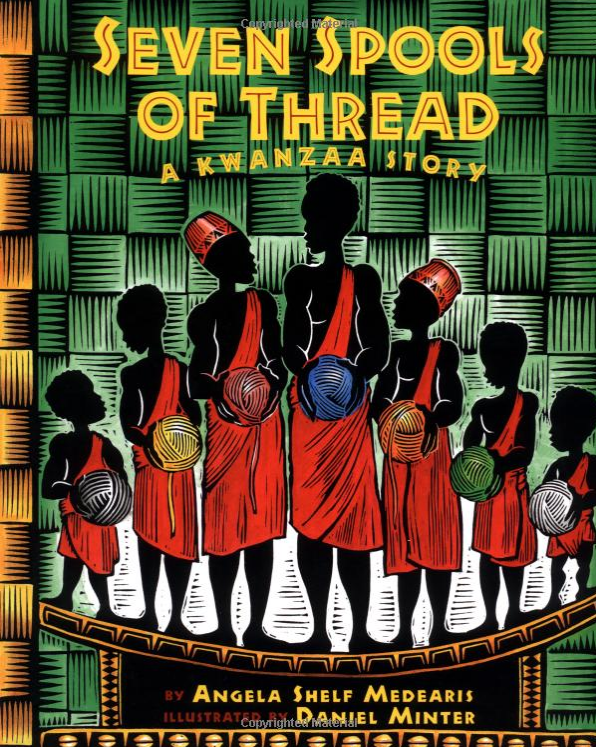 Will you be celebrating Kwanzaa this year? Is Kwanzaa part of your family or community? 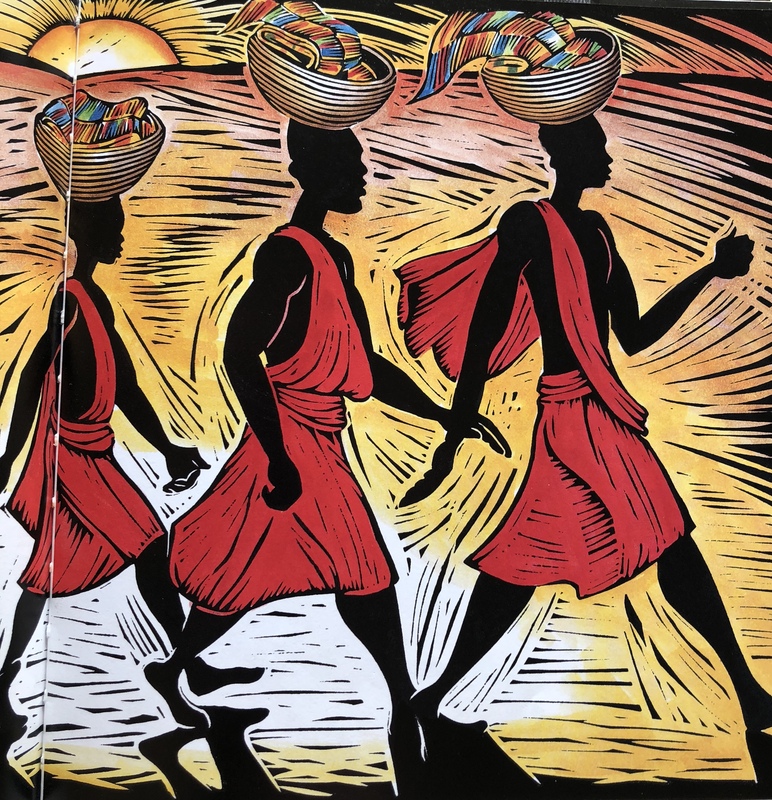 If this holiday is new to you, here is a beautiful book and a fun craft to introduce children to the spirit and the history of this holiday and let them create their own kente cloth drum! 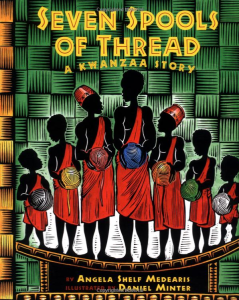 Seven Spools of Thread is a book that was written for Kwanzaa about kente cloth, a beautiful traditional fabric woven in Uganda. 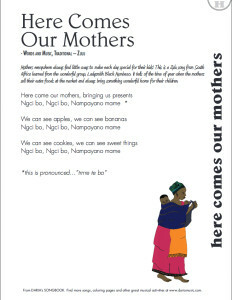 Written by an amazing author, educator and chef, Angela Shelf Medearis, the book begins with a brief history of Kwanzaa and it’s Seven Principles. Next comes the story of seven brothers who cannot get along and you probably guessed what happens. Solving their problems requires using the important values of the seven principles of Kwanzaa such as purpose, creativity and faith. Aside from a wonderfully told story, the book has gorgeous woodcut-style illustrations by artist, Daniel Minter. This is a story you’ll want to read over and over again, not just at the winter holiday times, but throughout the year. 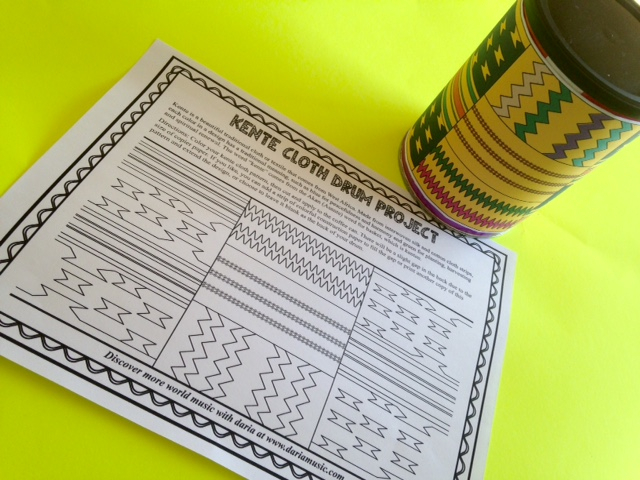 When you’ve finished the story, perhaps you’d like to color your own kente cloth and make a small drum. You can find complete instructions in the freebies listed here. Recycle a coffee can or an oatmeal container and you can make your own kente cloth-style drum. And please stay tuned to this blog as our next post is from an expert on kente cloth and his story is just amazing. Are you trying to use less plastic? I meet more and more parents who are striving to use less packaging and plastic products. And it’s really encouraging to even see big companies – like Starbucks and the entire Marriott hotel chain – phasing out plastic straws altogether! 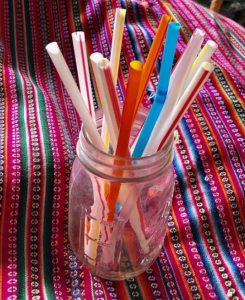 But even if you are the most recycling-conscious family, you’ve probably ended up with some of those pesky plastic straws and wondered what to do with them. 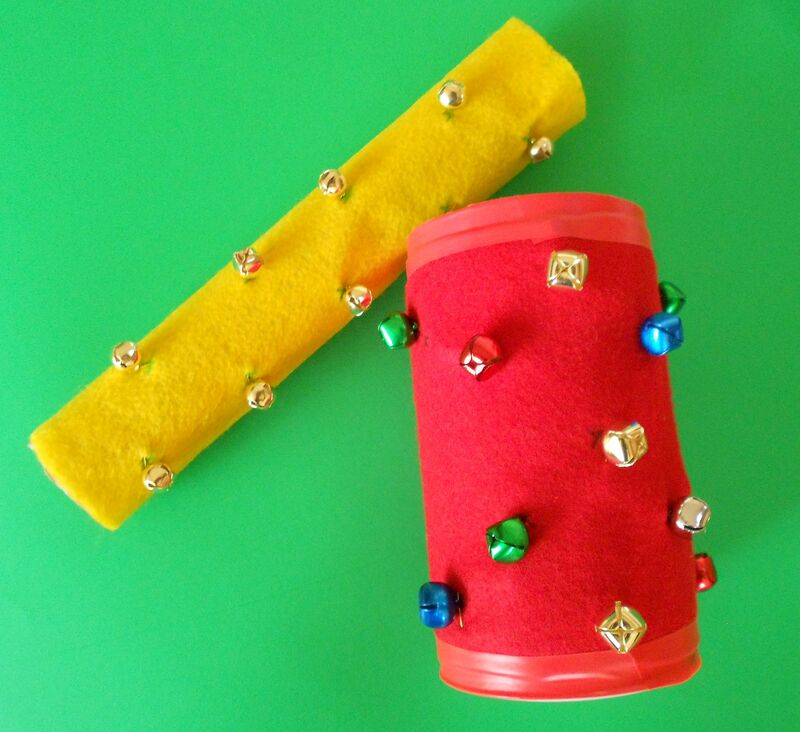 Instead of tossing them into the waste stream, here are a host of great activities that reuse these not-so-disposable items and are fun and productive kid’s crafts as well. 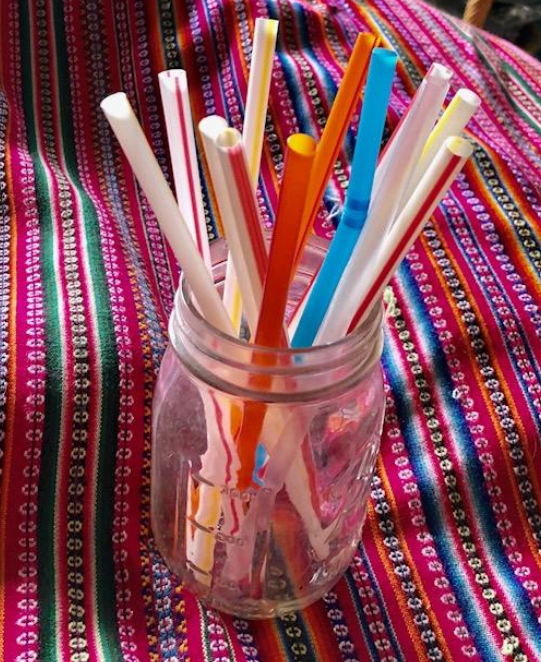 If you’ve ended up with straws from juice, smoothies or soft drinks you can easily clean them off before you craft with them. Rinse them in soapy water and let them stand them in a jar or glass for a few minutes (as seen above). In no time at all, they’ll be clean and ready to be used in any of the crafts below! 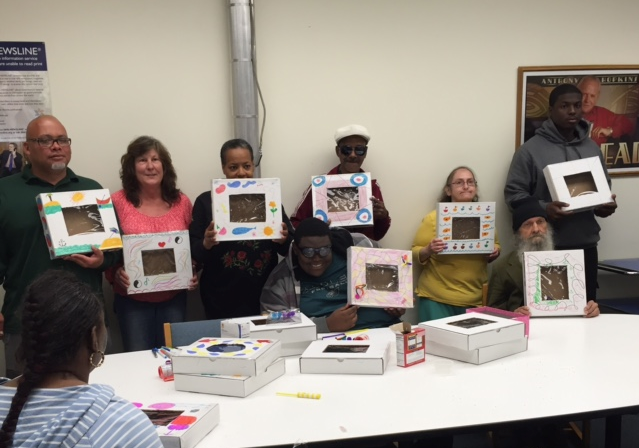 We love this craft! 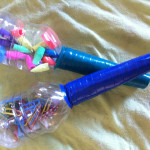 It is fun to make, also reuses plastic bottles and creates a quiet rattle that is never too loud, even when playing with bunches of friends! And if the straws you’ve used are colorful, they make wonderful patterns of colors as you shake them along to music. 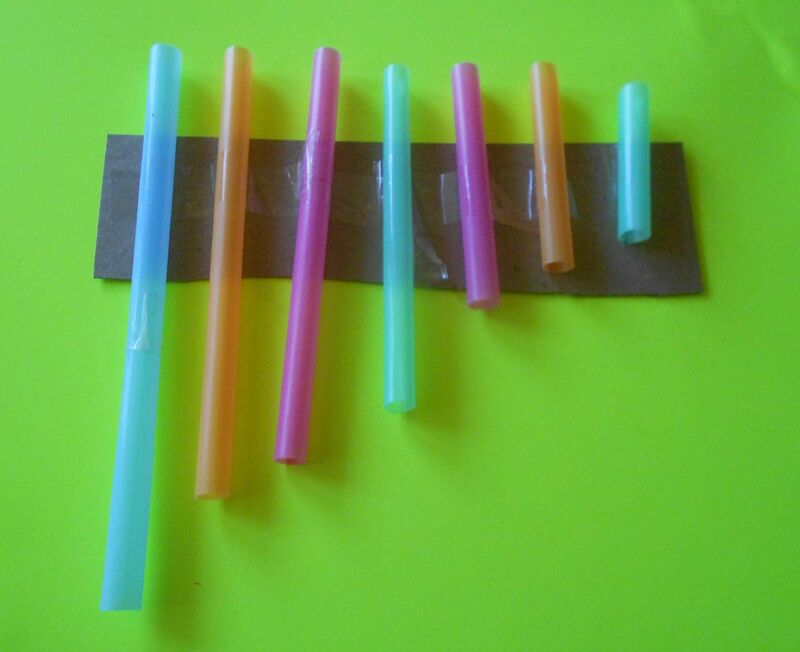 Cut the straws into small lengths, anything the size of a small bead to about an inch long. Cut them all the same length or mix up the sizes. 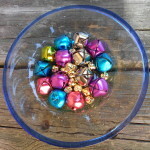 And if you have straw pieces left, they are perfect for the sensory bins listed below or even the friendship bracelets! 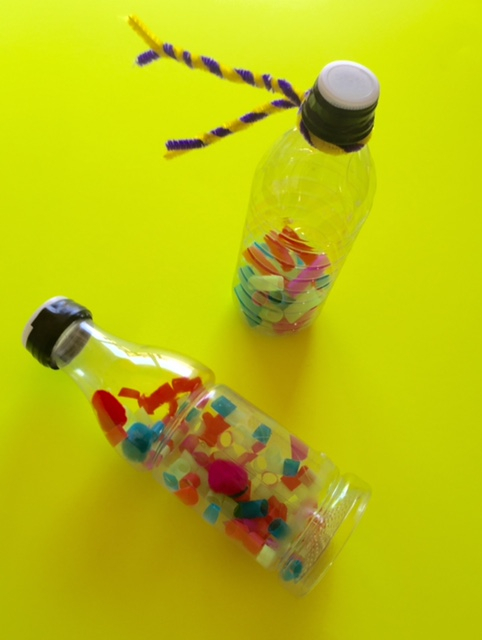 To create the rattle, simply allow your child to drop any number of their favorite colors and sizes into the plastic bottle. When it looks and sounds perfect to your little one, put on the cap and seal with a sturdy electrical tape. 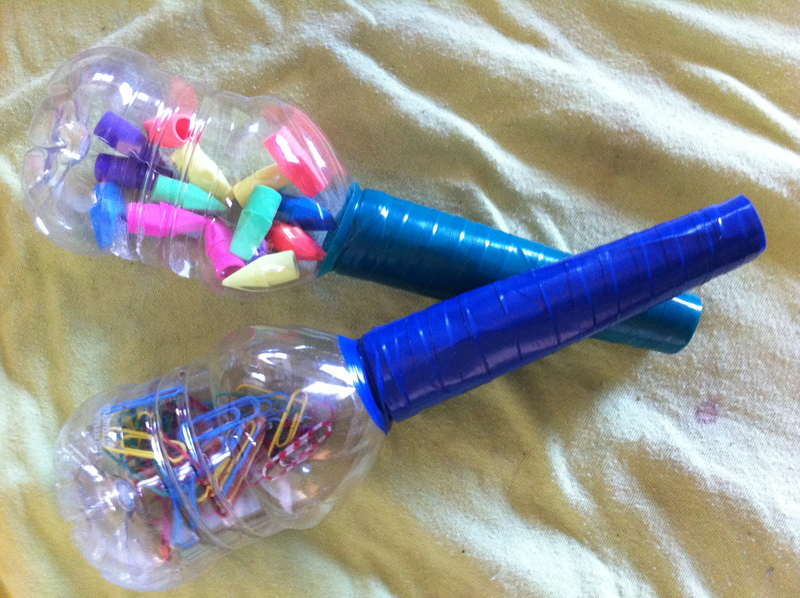 This keeps the contents inside the rattle and makes the end-product child-safe. 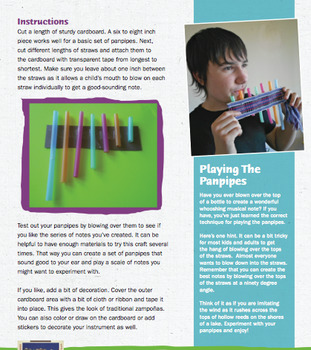 Note: while creating any of these crafts, make sure the small pieces of straws don’t go in a child’s mouth. Other Straw Crafts You’ll Love! More Crafty And Elegant Straw Bead Bracelets – Tutorial below and here’s hoping you reduce, reuse recycle and rock out with any of the crafts you’ve found here! 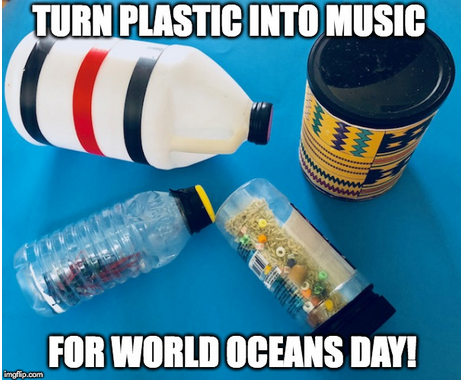 Online Event – Turn Plastic Into Music For World Oceans Day! What are you doing for WORLD OCEANS DAY? Did you know if you make something creative out of plastic – you can win a free E-book or any music CD from DARIA? We want to encourage you to cut back on plastic by practicing the 5 R’s – Refuse, Reuse, Reduce, Recycle, and Remove! And have a blast at the same time! What Is World Oceans Day? World Oceans Day is a special holiday celebrated all over the world on June 8th. It’s a great opportunity to honor, understand and work to protect seas, oceans and all our valuable waterways! It’s also a good time to think about things like plastic waste and how we can use less, refuse more and make something cool out of what we already have. And if you live near a beach, please check the World Oceans Day site (link below) for special clean-up and family events where you can make a difference seaside! No matter how well you reduce and recycle, you probably have some plastic in your recycling bin! Don’t trash it – make it over! We just shared a post about a MYO ocean drum, a fun project that recreates the sound of the surf. For World Oceans day, we’re filling it with items that should never end up in the ocean – straws, plastic and bottle caps. 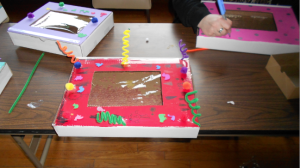 We used a shipping box we got in the mail, but you can reuse a pizza box or a product box that’s hanging around your house. If the box has writing all over it, no worries. Just cover it with recycled paper or the reverse side of a used manila folder and you have a great canvas to decorate right there! To the right is what we’re putting inside. Outside? Below are three ocean drums that other groups have made. Very… very creative and fun. And after you create your drum – you’ll be amazed at the sound it creates. Just tip it from slowly from side to side to make the sounds of the sea. 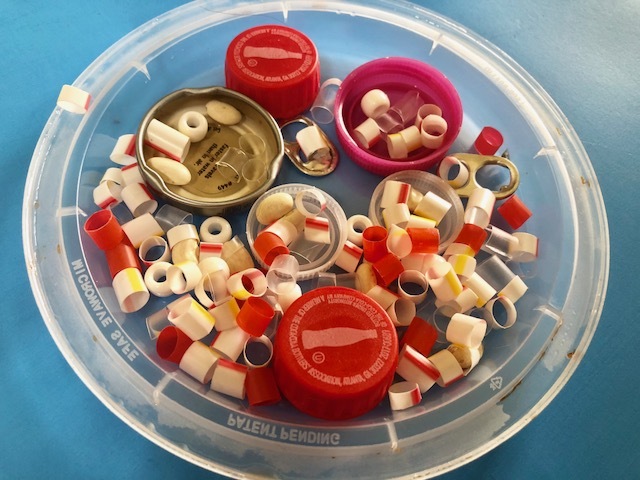 Make ANYTHING from plastic you have in your recycling bin, send me a photo and you’ll get my TURN PLASTIC INTO MUSIC E-book free! Although I’d love to see creative musical instruments, I’ll accept anything you remake from your recycling bin. 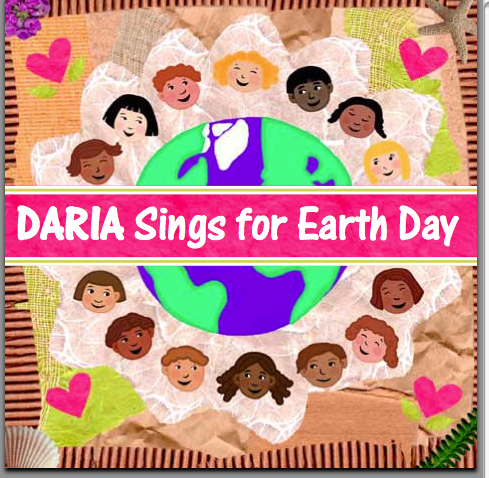 Just e-mail me at dariamusic at yahoo dot com under the subject “UPCYCLED PLASTIC” and I’ll send you a copy of the E-book plus ask your permission to use the photo in this blog or my social media. It’s totally OK to say no but I’d love to share what you make with my readers! And, you can also win my DARIA SINGS FOR EARTH DAY cd if you prefer! So ready, set … Refuse, Reduce, Reuse, Recycle, Remove and Rock on! Make A Drum That Sounds Like The Ocean! Have you ever heard an ocean drum? 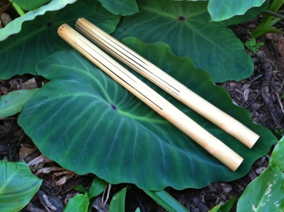 It’s an amazing instrument that sounds almost exactly like the soothing sounds of the surf? And – guess what? It’s a quiet instrument! It’s great for music and meditation as well as a quiet time activity. 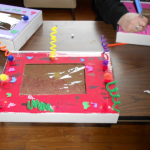 And it’s also perfect project to make and play for for any child or adult on the autistic spectrum. And, you can make it from all recycled materials! It looks like a frame drum from the Middle East, but it is filled with small round objects that, when tilted back and forth, sound remarkably like the waves at the seashore. It’s sound is soothing and when ocean drums are filled with colorful or interesting objects, they are as beautiful to watch as they are to hear. 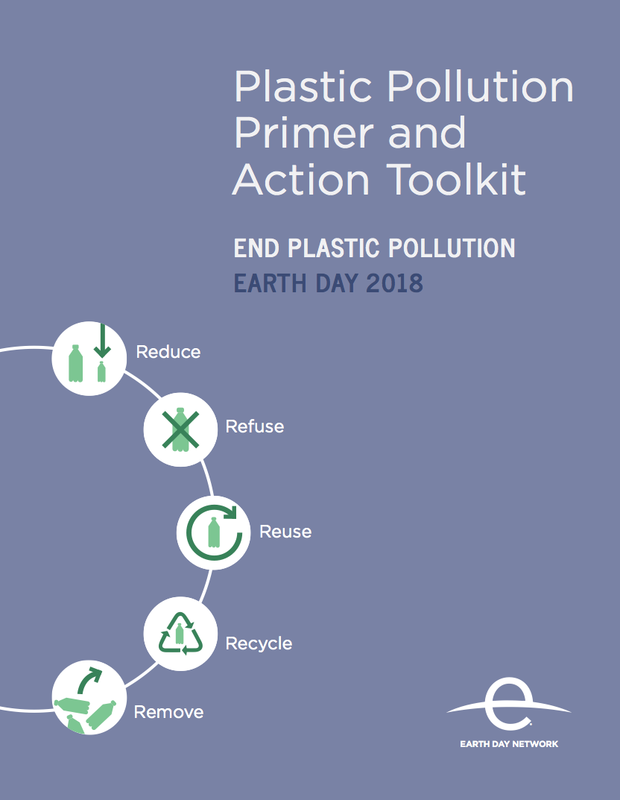 Clear plastic: You can recycle old report covers, salad bar containers, clear tablecloth covers or purchase a small amount of clear vinyl at a fabric or hardware store. Hint: Don’t use plastic wrap as it simply won’t hold up to the task. Strong tape: Packing tape, masking tape, or electrical tape are good choices. 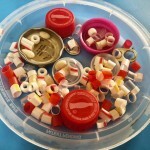 Contents for the drum: Choose any small fillings such as seed beads, pastina pasta, acini de pepe pasta, orzo, pony beads, mung beans, lentils, dried beans, marbles, or small pebbles. Start with a sturdy box. It’s a good idea to decorate your box before experimenting with what you want to put inside. If you started with a plain box from a stationery supply store, you have a clean slate to create an ocean motif or decorate with paint, crayons, markers or glitter and glue. If you have an overly busy box, like a pizza box, you may wish to cover it with colored paper (leaving space for the window, of course) and decorate from there. Next, create the window so you can watch the smaller items move around inside the drum. To do this, get some sturdy clear plastic and cut it into a large square or rectangle. Draw a slightly smaller square or rectangle on the inside of the top of your ocean drum box and cut it out. Secure the window in place inside the box using a strong tape such as packing tape, electrical tape, or masking tape. Now choose something to create the sound of the surf. Small, round objects make a sound that is closest to a real ocean drum. However, you can get creative with what you’d like to try. You can choose tiny pasta like acini de pepe, pastina pasta, seed beads, bee bees, or mung beans. 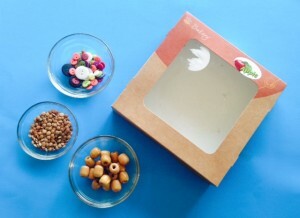 You can fill your drum with lentils, dried peas, marbles, pony beads, larger beans, or orzo pasta for a louder drum. You can mix and match to see what sounds best to your ear. 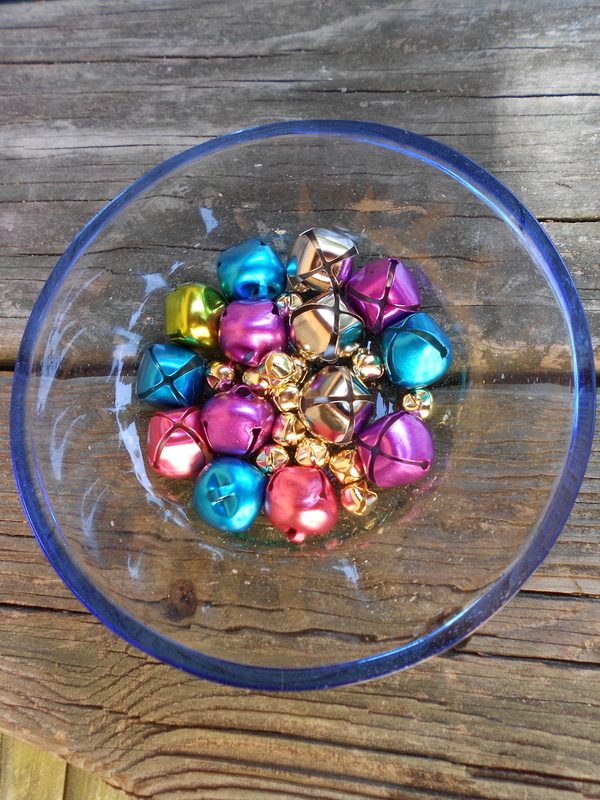 You may also want to make it interesting by adding colorful beads or other items like marbles, buttons, glitter or confetti that will add to the visual appeal of the drum. Once you’ve chosen what you want to go inside, you are ready to seal the drum. Cover it with packing tape so that the contents will stay inside. Seal up all the edges where the smaller objects might come out and then you’re ready to play your ocean drum. 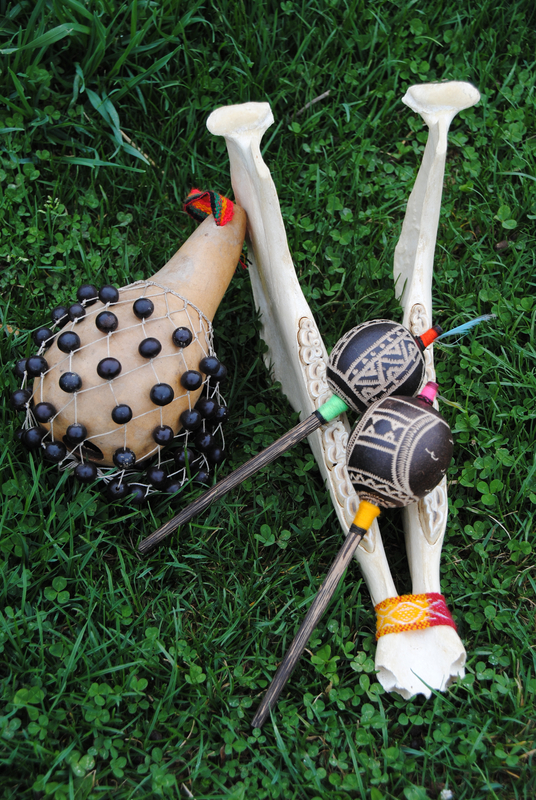 Shake your instrument as if it were a rattle. Many people find the sound and the changing patterns very calming and meditative. You can relax and play it without any other accompaniment or you can play this instrument along with soothing music or any of your favorite songs. Try to match the beat by tilting the ocean drum along with the rhythms of the song. If you enjoy this type of drum, you may want to make several as each one will have a distinct sound or might fit better with different musical styles that you enjoy. 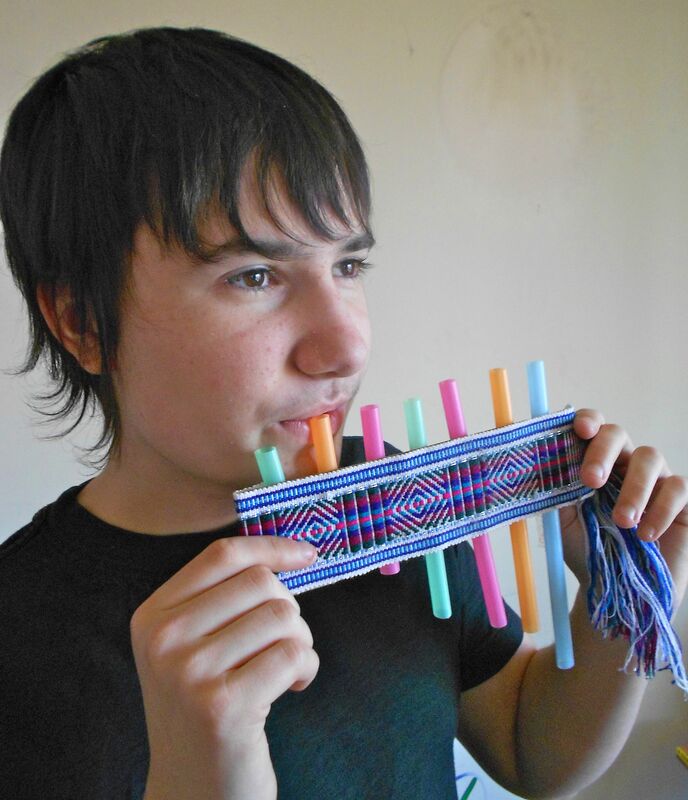 Feel free to experiment and make this unusual instrument all your own! 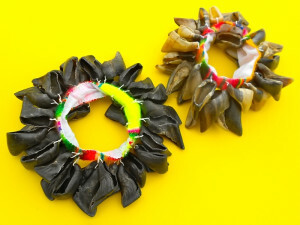 This Earth Day – Turn Plastic Into Something Fantastic! 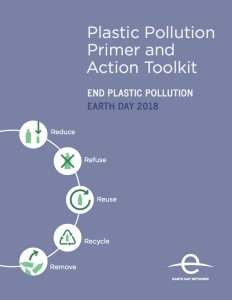 This year’s Earth Day theme is End Plastic Waste! We hope you’ve been reading about this topic and moved to make changes in your own life. But, what about plastic you already have in your recycling bin? Creating fun recycling projects with kids will help them see plastic waste as more than just “use it and lose it” trash. 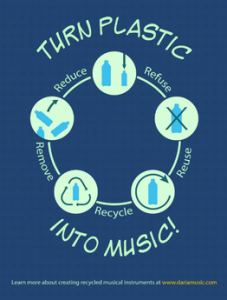 As you practice the 5 R’s (Refuse, Reduce, Reuse, Recycle and Remove) you can upcycle out of the waste cycle into 5 great-sounding musical instruments. 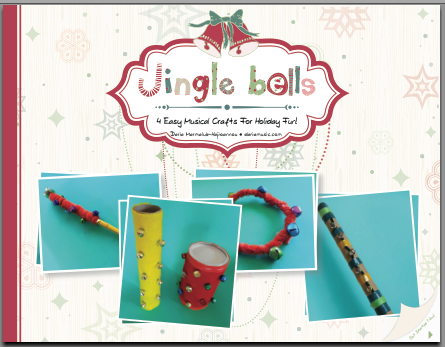 The five projects in this book include amazing-sounding maracas from mini-sized water bottles, Latin American guiros and Aboriginal bullroarers from plastic bottles with various sizes of mouths. There’s also two crafts that use plastic straws – zampoñas or panpipes and a kaleidoscope straw rattle. 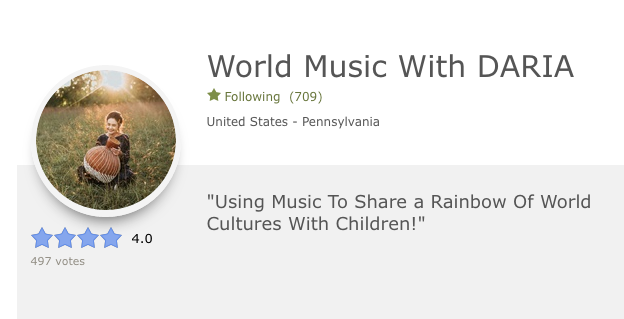 And really… wouldn’t you rather make music than contribute to something like this? Below is a video taken in Cameroon, Africa several year ago. This year school children in this region are committed to ending plastic waste and changing what you see here! More Than 60 Freebies For Music In Our Schools Month! 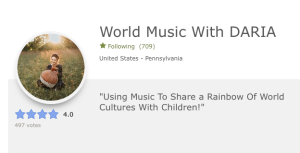 In the USA, March is Music In Our Schools month! Although it’s my opinion that music makes any school day better, it’s nice to see a whole month dedicated to how music enriches our childrens’ academic and personal lives. So, rock on, you wonderful teachers and music teachers! And what’s better than music? How about music freebies! 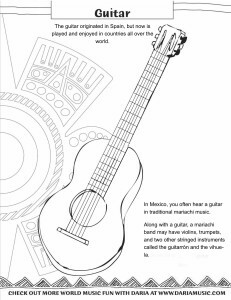 As I’ve created the multicultural music books and resources on my TPT (Teachers Pay Teachers) store, I’ve tried to break out as many freebies as possible. I have dozens of friends that are teachers and the one thing I hear over and over again is that they lack any real budget (or any budget at all) for extra classroom materials to enrich their lessons. Especially for the diverse classroom or a classroom where the teacher wants to share world cultures through arts and music. Several years ago I got a wonderful note from a teacher. She thanked me for some of my freebies focusing on music traditions from Asia and India. Her school had just welcomed a wave of refugees from that area and they were teaching the whole school about music from Pakistan, India and Bangladesh. One of the parents brought in traditional music and played it for the children. 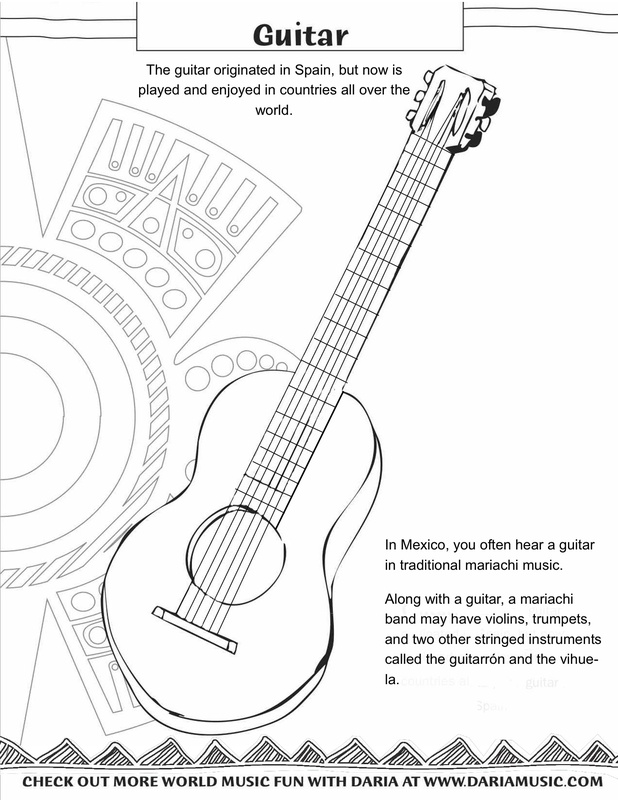 The kids loved coloring the instruments they heard (from my coloring pages) and it started lots of new conversations about customs, families, holidays and favorite topics like food. I love seeing that my resources could be used not just for learning but for inclusive activities and bringing together schools and communities. What Is The Puerto Rican Cuatro? Caroling In Greece With A Musical Triangle! Did you know that many countries around the world have holiday caroling traditions? And in some places caroling is accompanied by unusual instruments or different superstitions and traditions? 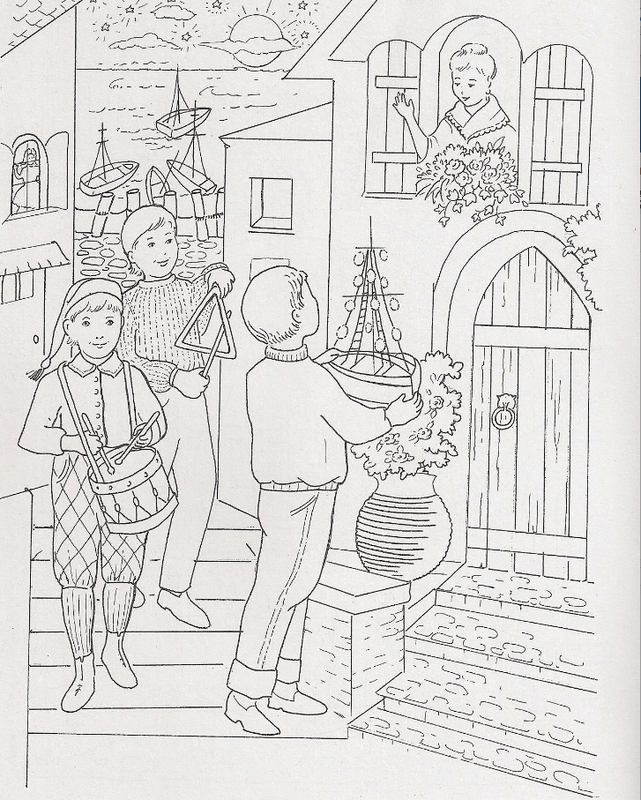 My husband grew up in Greece and has fond memories of caroling with a triangle during the Christmas season. He and his brothers and sisters would go door to door and even on the bus to sing special songs with the accompaniment of a triangle. If you stopped and listened – you had to give a coin or a small donation to the carolers. What fun! 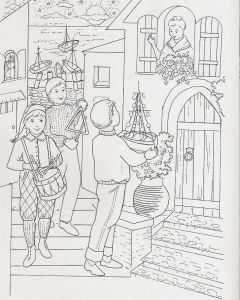 In Greece, Christmas carols are called calenda (or kalenda). Although you can hear them throughout the holiday season, there are three official caroling days – Christmas Eve, New Year’s Eve and January 5, the Eve of the Epiphany. During the twelve days of Christmas (December 25 – January 6th), some people in Greece keep fires lighted because of the superstition that a goblin might enter a house (by the chimney) and play tricks on people. In more modern times, you will see brightly colored lights on Christmas trees and also on boats because Saint Nicolas (aka St. Nick, aka Santa Claus) is the protector of sailors. Wishing you all – καλάΧριστούγεννα (pronounced) kalá Christoúgenna or Merry Christmas in Greek! 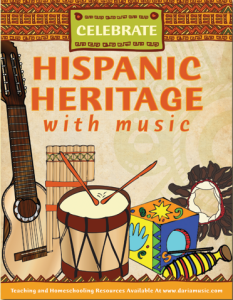 Can you believe that Hispanic Heritage Month is almost here? It’s celebrated every year from September 15th – October 15th and it’s a great time to connect, explore and enjoy the beauty and diversity of Hispanic cultures around the globe. 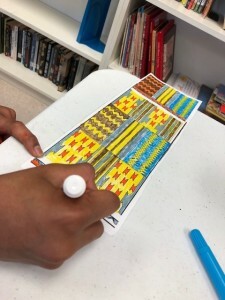 For the past several years, I’ve been adding free items to my TPT store to share with teachers, parents and homeschoolers who want to have some hands-on fun as part of their HHM experience. 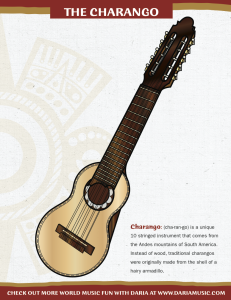 Here’s our most recent list of HHM freebies that share the culture and musical traditions of Argentina, Bolivia, Chile, Columbia, Cuba, Ecuador, Mexico, Peru, Puerto Rico and Spain. Wishing you a wonderful Hispanic Heritage Month!